Verisys adds ISO 27001 Certification to its long list of credentials. Verisys Corporation, a technology and health care data provider dedicated to mitigating legal, financial, and regulatory risk for its clients and their end-users by delivering mission-critical data on providers and their credentials announces that they have received ISO 27001 Certification, the international standard outlining best practices for information security management systems (ISMS). Compliance with these standards validates Verisys Corporation’s commitment to its core mission of protecting patients and the organizations that serve them. The ISO 27001 family of standards is one of the few standards that uses a top-down, risk-based approach to evaluation and ensures that organizations have established methodologies and a framework that identify requirements and specifications for a comprehensive ISMS. The standard defines how an organization should manage and treat information more securely while meeting key objectives and reducing risk through applicable security controls. Verisys underwent in-depth testing and assessment by A-Lign, a third-party auditor to validate compliance with this standard. Maintenance of the certification requires an annual review and a three-year re-certification, giving Verisys users confidence that their data is continuously protected under these standards. 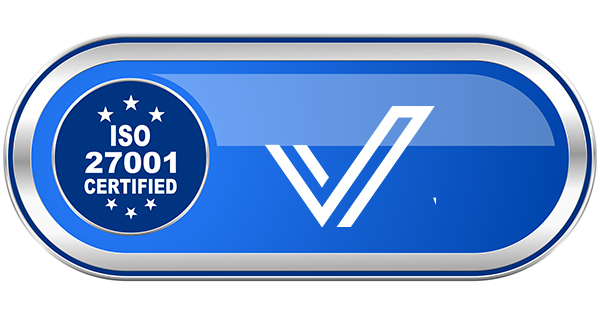 Recently, Verisys achieved ISO 9001:2015 certification, another indication of the company’s deep commitment to quality. Additionally, in March 2018 Verisys received full re-certification from NCQA for 11 out of 11 verification services. Verisys is one of only a few Credential Verification Organizations (CVOs) both URAC accredited and NCQA certified. Verisys has been NCQA certified and URAC accredited since 2008. Verisys’ mission is to provide a comprehensive technology platform of data, analytics and services that deliver value to the full spectrum of organizations in the health care sector. Verisys’ mission is to protect health care consumers by enforcing competency and patient safety through transparency. We help prevent fraud, waste and abuse with analytics and accurate and timely data on individuals, professionals and businesses. As stewards of provider data and credentials — for contracting, privileging, employment, reimbursement and referral validation — Verisys is dedicated to mitigating legal, financial and regulatory risk for its clients and their end-users. For over 25 years, Verisys has delivered highly secure technology solutions for some of the largest health care delivery and support organizations in the country. Our partners and clients regularly express resounding confidence in our ability to deliver and delight and provide leadership and direction in the ever-evolving health care compliance environment in the United States.